Only recently, have smallsats been viewed as mission-ready for government and Intelligence Community (IC) programs. 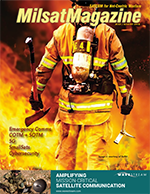 While the commercial world has been quicker to adopt these new platforms, the advent of virtualized ground system environments that feature plug-and-play design for simplified setup, automation tools for lights-out operation and complete situational awareness have opened new alternatives for government and IC programs. While virtualized environments allow IC programs to stand up new ground stations quickly and efficiently there is still some resistance to migrating legacy systems for a number of reasons, time and effort to prepare and complete a successful migration being chief among them. New programs, with no legacy systems to migrate, have been quicker to embrace virtualized environments. For the purposes of this article, virtual is defined as a system or piece of equipment requiring only Commercial-Off-The-Shelf (COTS) hardware in standard configurations to run. Applying this definition to ground equipment, a virtual ground system or piece of ground equipment can run on a standard server or in a cloud instance with no special or system specific configuration of the underlying hardware. Before discussing virtual architectures, a quick synopsis of existing ground architectures should be helpful. A traditional satellite control ground system requires basic elements to perform three general functions: Command and Control (C2), Baseband, and Radio Frequency (RF). The architecture shown in Figure 1 is generally common and known to be reliable amongst many satellite programs that are operational today. In a traditional architecture, antenna systems tend to be more expensive and inflexible than the other pieces of ground equipment. In order to mitigate the need for every satellite program to build its own antenna farm, shared antenna systems such as the Air Force Satellite Control Network (AFSCN) were created to provide a common, distributed antenna system through which multiple Department of Defense (DoD) programs could interface for antenna uplink and downlink services. Shared antenna systems also exist in the commercial market as well with companies such as Kongsberg Satellite Services AS (KSAT), Swedish Space Corporation (SSC) and Atlas providing services to both commercial entities as well as some national programs. In a traditional architecture, the edge device or digitizing front end and modem are in the same hardware package. In a virtual architecture, the edge device is a hardware piece that could be co-located at the antenna site. Now separated from the digitizing front end, the virtual environment could host the modem (software). This lends itself to unique architectures such as distributed ground sites with consolidated processing through RF transport. Serial communications, as shown in Exhibit 1, are common in traditional ground systems. Virtual environments by their nature do not support serial interfaces. However, by using serial-to-IP converters, items such as legacy serial cryptographic devices can be used in a virtual environment. This is one example of how a current architecture can be augmented with virtual solutions. For this article, smallsats are being defined as being nominally 500 kilograms. quantum is the Kratos small satellite virtualized product family designed to solve small satellite ground system requirements. The quantum system consists of both narrowband and wideband offerings and has been developed to support missions through various stages; i.e., development, integration, launch and operations. Multi-mission and re-use were major development requirements for the quantum system. By ensuring the developed ground system could be used for the current missions but also for the next several missions, the quantum system is a virtualized solution meeting the majority of user needs. While many users can use a COTS ground system out of the box, provided the system has enough configurability, there will always be those users who need something special. A virtual environment provides the flexibility for ground system developers to create custom patches to standard baselines allowing them to adapt quickly and efficiently to special customer requests. While the majority of the quantum ground system is virtualized, there are pieces, which for different reasons, consist of hardware units. The edge device brings a tunable range of RF frequencies, from IF up to S-band, into the digital domain. For small satellites, this is significant as they only need a single device located at the antenna and can potentially remove block converters from their budget. SpectralNet Lite supports the Vita-49 interface to transfer the digitized data into the digital domain, i.e., to a software modem. By embracing open standards, it could theoretically interface with any software modem (supporting the open standard) and, as such, is a modem agnostic edge device. The software modem or quantumRadio provides a wide range of modulation and forward error correction schemes. Currently, supporting up to 10 MHz of bandwidth, it is designed to handle narrowband commanding and telemetry links but can also be used for narrowband payload links. This flexibility makes it ideal for supporting a small satellite program. The front-end processor (quantumFEP) handles all of the baseband processing. Supporting a range of data protocols, it also provides encryption services at many different levels. Management of AES keys, their storage, and over the air rekeying (OTAR) are functional capabilities baselined into the device. quantumCMD provides central data management of all core command, telemetry and ground Monitor and Control (M&C) needs common to smallsat missions. The quantum wideband system, in its typical configuration, consists of quantumMR (Mission Receiver) and quantumDRA (Digital Recording Application). quantumMR is a COTS hardware solution tailored specifically to meet data rates of small satellite payload downlinks. It can support two independent receive channels, each capable of processing up to 600 Msps, making it a power house in the small satellite receiver market. While the quantumMR is a hardware solution, it was developed with a virtual architecture in mind. By embracing standards such as Vita-49 and CCSDS, it is highly compatible with a virtual environment. The quantumDRA is a virtual recording application that also provides some high level processing. While there are the obvious benefits to virtual ground systems, such as reduced total cost of ownership, others, like configuration management in a multi-mission environment, may not be as obvious. A virtual architecture lends itself well to a multi-mission environment where multiple assets are trying to use the same ground system. Configuration management of ground systems for the multi-missions becomes very important. The quantum applications allow for application level configuration management. Additionally, Virtual Machines (VMs) have tools (i.e. snapshot and templates) that provide the ability to control configurations at the system level. Virtual environments allow ground network service providers to onboard customers quickly and cost effectively. End customers can develop against an instance of the virtual solution and then pass along system configuration files to the network provider. Issues such as different hardware configurations and incompatible pin outs on serial lines that plague hardware solutions do not have any impact on virtual solutions. Additionally, multiple network providers or ground networks can all share the same configuration or even the same instance of the solution (contained in either a VM or container). Several quantum users today have end customers who use their own instances of quantum that deliver configurations of quantum they have tested. These end customers are able to refine their configurations through various stages of the program, including development, integration and test, through launch and on-orbit testing. Virtual solutions allow ground systems to scale exponentially with minimal hardware investments compared to hardware solutions. Additionally, cloud computing introduces architectures that reduce the initial capital costs of ground equipment to near zero and missions or programs run entirely on operating budgets. With all that being said, software solutions are not free. Lots of time and effort goes into ensure that virtual products work consistently and that they perform to the same level as the hardware solutions before them. The ability to deliver virtual ground solutions enables rapid deployment of ground sites. Programs that would have taken several years can be deployed in several months. Additionally, new capabilities can be delivered either as updates or as patches to existing systems. Virtual systems are able to leverage the work going on in other software based environments, one of which is redundancy. With VMs, whole systems can have fail-over capabilities with systems monitoring each other and even fail-over between COTS servers. Kratos has government users who have deployed these architectures to increase the resiliency of their systems today. While many aspects of the small satellite ground architecture have been virtualized, there are a number of things that are much more difficult to virtualize (i.e. serial interfaces). Cryptographic devices used to encrypt commanding data and decrypt telemetry data, especially in the government and IC programs, are hardware systems that are tightly controlled. Virtual systems have the ability to interface with these devices and programs requiring their use. Virtual environments are increasingly enabling commercial, government and national programs to support small satellite missions. Virtual environments allow for the deployment of new ground stations quickly and efficiently and can augment existing traditional systems as well. The quantum product line is an example of how virtual environments are not only ready for missions today but also an example of how programs are actively deploying virtual ground systems.